ArtsGoggle - Near Southside, Inc.
Click here to participate in or learn about the 2019 ArtsGoggle. Since its inception in 2003, ArtsGoggle has become Fort Worth’s premier festival of local arts. 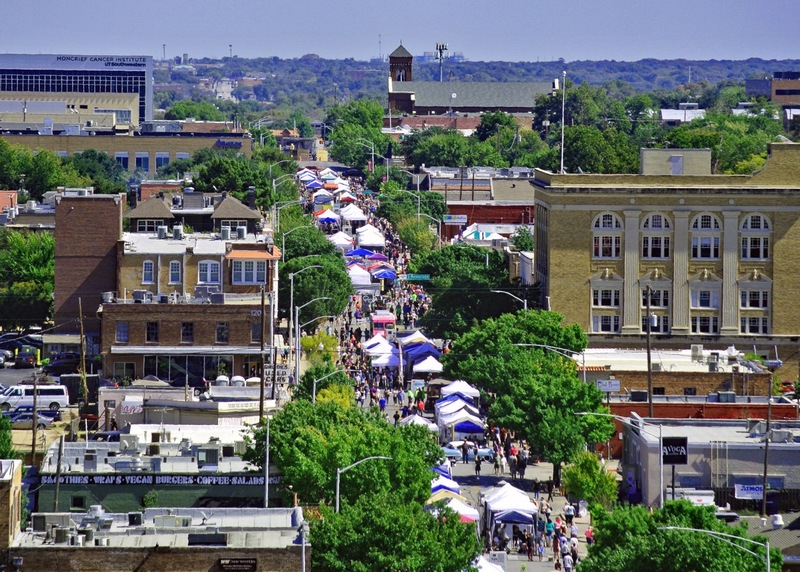 The event is hosted in the Near Southside, an eclectic neighborhood of historic elegance and urbanism immediately south of the central business district of Fort Worth. This free to the public, family-friendly event attracts a crowd of 60,000+ that are as diverse as the neighborhood itself. Residents from the nearby Fairmount, Mistletoe Heights, Berkeley Place, Historic Southside and Ryan Place neighborhoods are joined by medical district workers and visitors from throughout the region. Offering live music, artistic displays of every kind, food, drink, and fun for everyone ArtsGoggle is a wonderfully pleasant testament to the community spirit that fills the Near Southside. ArtsGoggle is unlike any event in Fort Worth, as it exclusively focuses on highlighting the work of local artists, musicians and performers of all mediums and experience levels. ArtsGoggle prides itself in hosting a casual, approachable and vibrant environment to appreciate art and learn about the talents within our own community. For more than a decade, ArtsGoggle has been the launch pad for many artists showing their work for the first time. ArtsGoggle provides a supportive setting for both aspiring and professional visual artists, to display, sell and seek comment on their artwork. Embracing all arts, the event also boasts an impressive program of performance art and music. The 2018 ArtsGoggle featured more than 50 bands, many of which have members who live or work in the Near Southside. The entertainment at ArtsGoggle is diverse and showcases music from a variety of cultures and styles. The event partners with arts organizations across Fort Worth to draw attention to their programs. In years past ArtsGoggle has hosted the Fort Worth Opera for pop-up concerts; showcased Ballet Folklorico de Azteca for a colorful dance performance; and hosted The Bucket List Jazz Band, a band dedicated to the lifelong dream of 90-year-old Jim Milam to resurrect Dixieland Jazz. ArtsGoggle takes place along a one-mile stretch of Magnolia Avenue, the Near Southside’s signature street. The festival closes Magnolia Avenue to car traffic from 8th Ave. to South Main Street and fills 18 blocks with more 1,000 visual artist booths and four stages with music and performance art of all varieties. This exciting street festival atmosphere completely transforms our Near Southside public spaces. 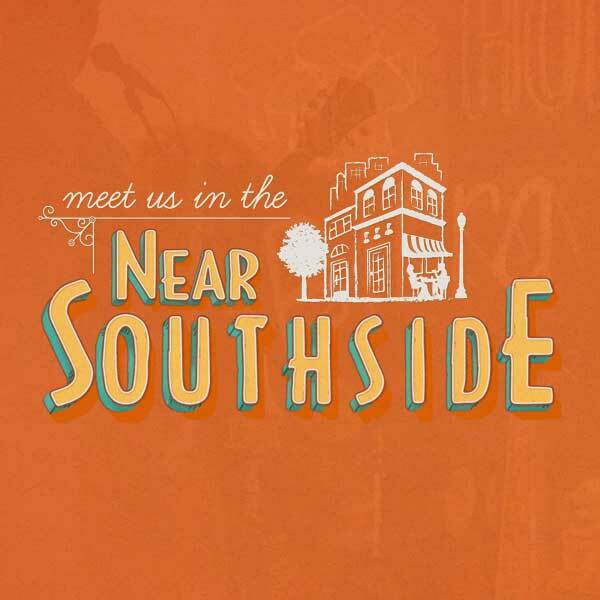 One of the event’s goals – along with celebrating art of all kinds – is to showcase the unique and memorable character of the Near Southside. The vibrancy and excitement of the outdoor block party captures the neighborhood spirit perfectly, as friends meet to share ArtsGoggle highlights and discoveries. It is easy to enjoy everything ArtsGoggle has to offer. Visitors are invited to park their cars and rediscover this revitalized urban neighborhood by foot or by bicycle, including Fort Worth Bike Sharing bikes. ArtsGoggle started 17 years ago as the Near Southside's own indoor gallery night exhibition and remained almost exclusively indoors for the first decade before spilling out onto the street. In 2018, in tribute to ArtsGoggle's unique start, South Main Village businesses opened their doors in an all-day open house to show off the work of a wide array of local artists. This new ArtsGoggle feature expands the event to include more of the Near Southside and showcases fine art, music, experiential art, and unique programming inside each of the participating businesses ranging from breweries, bars and bakeries to creative firms, historic preservation projects and theaters. ArtsGoggle is free to the public, with no wristbands, tickets, or admission costs. Unlike many popular for-profit events in Fort Worth, ArtsGoggle is produced by a not-for-profit community organization, so the event is exclusively focused on creating an opportunity to appreciate and celebrate local arts. All funds raised for the event directly underwrite ArtsGoggle and ArtSouth, a community-led public art program managed by Near Southside, Inc.
NSI is seeking a title sponsor, four stage sponsors and 18 block sponsors for the 2019 ArtsGoggle event. The event provides a unique opportunity for company to promote its brand to thousands of attendees while also supporting a tremendously popular community event that has become a treasured component of life in the Near Southside. Please inquire for terms and benefits of sponsorship. Sponsorship contributions made to Historic Southside, Inc. are deductible as charitable donations. 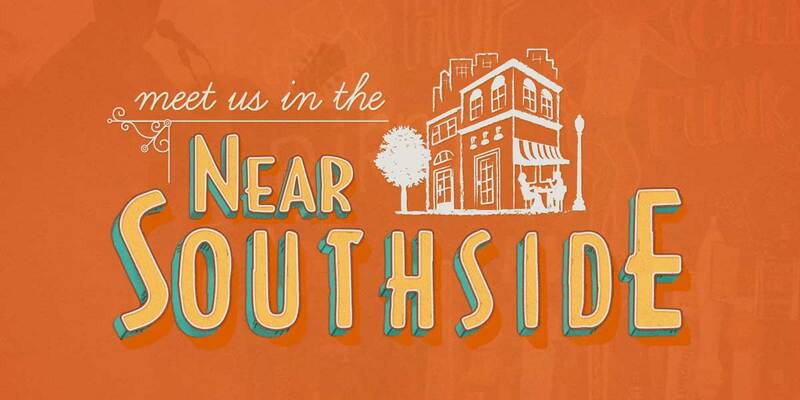 ArtsGoggle is presented by Near Southside, Inc., the non-profit redevelopment organization working to revitalize this important urban neighborhood, in partnership with our sister organization Historic Southside, Inc. Historic Southside, Inc., managed by Near Southside, Inc., is a 501(c)(3) non-profit organization. Sponsorship contributions made to Historic Southside, Inc. are deductible as charitable donations. W-9 forms will be provided at your request. Near Southside, Inc. is a private, member-funded, non-profit 501(c)(4) development company dedicated to the revitalization of Fort Worth’s Near Southside. NSI began as a small coalition of Near Southside businesses and community leaders and has grown dramatically over the last two decades. We invite you to join us as we promote the redevelopment of Fort Worth’s Near Southside as a vibrant, urban, mixed-use neighborhood.